White trash Roundup! cards hilariously illustrate the unfortunate habits of tacky hillbillies. 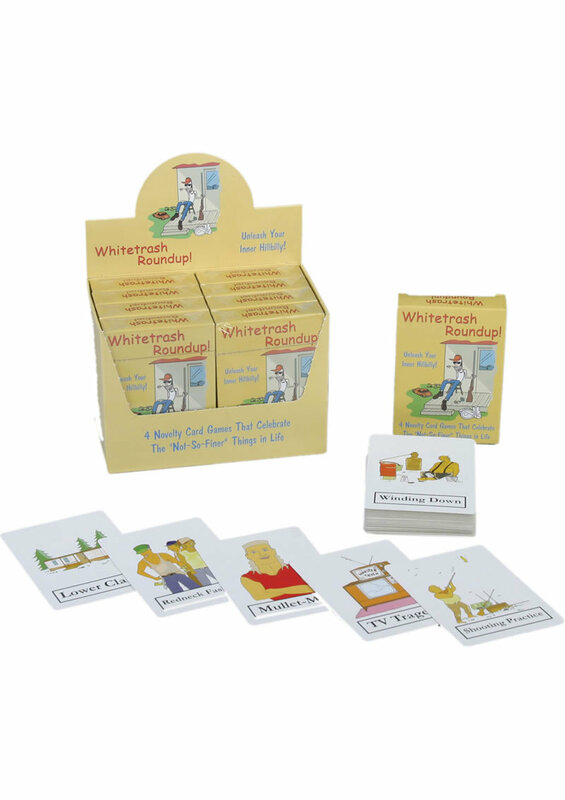 Use the cards to play four white trash games: Ultimate Redneck, Capture the Redneck, Where's the Crap?, and Trash Collector. 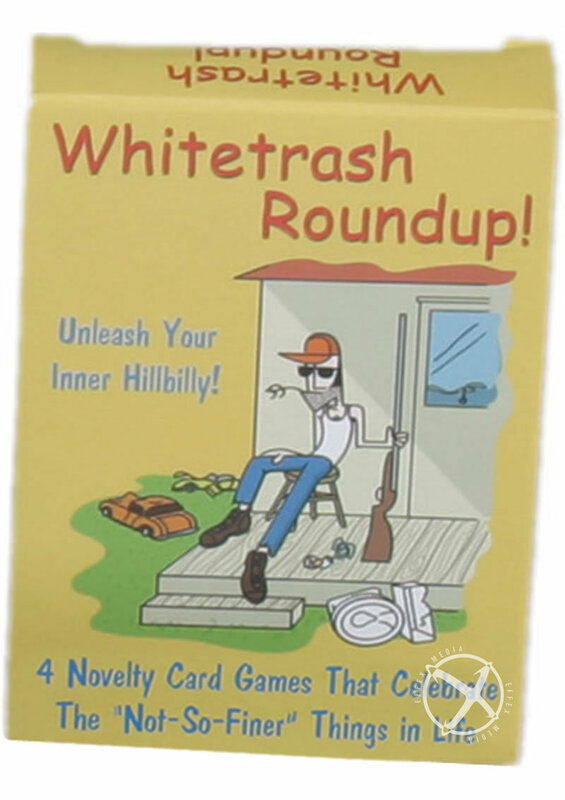 Each game has different strategies for either collecting or sticking other players with tacky hillbilly habits or collectibles, such as outhouses, double-wide trailers, CB radios, roadkill TV dinners, and mullets.